Is your home filled with conflict, frustration, disconnection or chaos? Do you wish your family was able to get along better and have more moments of love, support and fun? Family relationships are one of the most important aspects of our lives. These relationships teach us the principles and values that guide us through life and greatly impact how we interact with and relate to others. Many struggles, including differences in parenting styles/practices, life stress, marital conflict or separation/divorce can shake the foundation of the family. When this foundation is shaky, children can become anxious, sullen or oppositional. Parents are often frustrated, angry, and sad; resulting in even greater marital and family difficulties. At Monarch Behavioral Health we will help your family work together to rebuild a strong foundation. 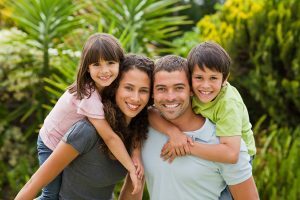 At the initial evaluation, our expert Family Therapy Clinician discusses your concerns with you, to establish what you would like to change about how your family is functioning. The therapist may also meet individually with family members to gain their perspective and build skills. Your family will come to understand why and how the breakdown has occurred and move forward to build positive relationship dynamics and communication skills. At Monarch Behavioral Health, we utilize research-driven approaches to improving emotional, behavioral and relationship dynamics. These approaches generally contain practical tools for addressing negative behaviors and emotions, as well as communication strategies to shift interactions and dynamics within the family. At times, not all family members are fully on board with engaging in therapy, and that’s okay. We have many strategies to help hesitant family members feel more comfortable with the process. However, it’s also important to know that tremendous progress can be made when even just one or two members of a family are taking advantage of this help. As individual members of a family change their behaviors, emotional reactions and interactions, the entire family changes as a result. Are you ready to experience a harmonious household and make positive family memories? Schedule your appointment with an expert at Monarch Behavioral Health today.